As Pakistan enters the CPEC era, it is important we take a moment to reflect. Most people believe the initiative offers both Pakistan and China a unique opportunity to reshape the region’s economic dynamics. For this reason, there is, rightly, great excitement among academics, policymakers and the public. As Pakistan embarks on this journey, it is worth examining the direction its industrial policy should take. The most obvious question is this: why worry about industrial policy now? To begin with, the sheer scope of CPEC means that decisions made now will have consequences in the long term. Also, the experience of most industrially developed countries shows that a coherent, well-functioning industrial policy can accelerate industrial growth, lead to higher long-term growth and improve living standards. This is important because the lack of an industrial policy, compounded by free-trade agreements hastily cobbled together, has led to low industrial growth in Pakistan. Unsurprisingly, this means that the business community still has several concerns about the impact of CPEC on their own ventures. 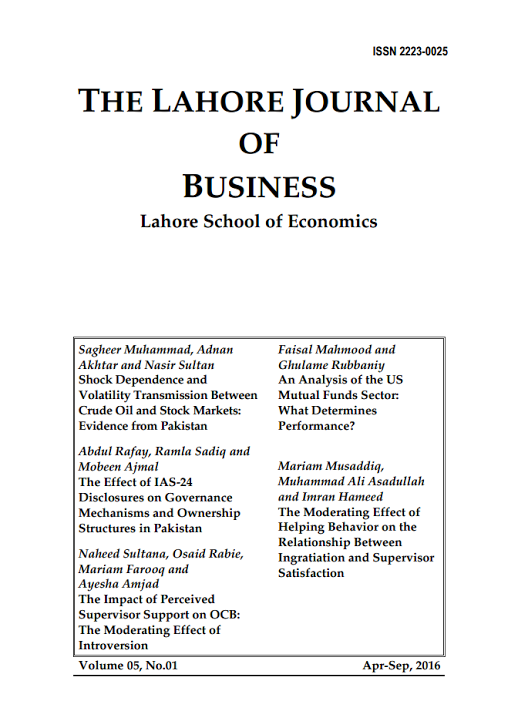 Sagheer Muhammad, Adnan Akhtar and Nasir Sultan, in their paper “Shock Dependence and Volatilty Transmission between Oil Prices and Stock Returns: Evidence from Pakistan,” investigate shock dependence and volatility transmission between the crude oil and equity markets, based on crude oil returns and stock index returns for the period 2 January 2009 to 27 January 2014. Abdul Rafay, RamlaSadiq and MobeenAjmal in their paper “Effect of IAS-24 on Governance Mechanism and Ownership structures: Evidence from a South Asian Economy,” examine the interrelationship between RPTs (as disclosed under IAS-24), agency theory, ownership structures and firm performance. Naheed Sultana, OsaidRabie, Mariam Farooq and Ayesha Amjad in their paper “Impact of Perceived Supervisor Support on OCB: moderated effect of introversion,” examine the extent to which introversion moderates the relationship between perceived supervisor support and organizational citizenship behavior (OCB). 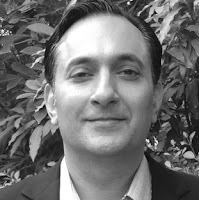 Faisal Mahmood and Ghulame Rubbaniy, in their paper “An Analysis of the US Mutual Funds Sector: What Determines Performance?,” analyze the performance of equity mutual funds in the US, using monthly data for a sample of 4,431 equity mutual funds over the period 1999–2012. The findings suggest that larger funds with higher liquidity and turnover generate higher returns, while expenses and management fees have a negative impact on performance. Mariam Musaddiq, Muhammad Ali Asadullah and Imran Hameed in their paper “The Moderating Effect of Helping Behavior on the Relationship Between Ingratiation and Supervisor Satisfaction,” investigate the combined effect of ingratiation and helping behavior on supervisor satisfaction in the workplace based on a sample of 168 supervisors and 453 employees working in Pakistan’s hospitality sector. Lahore School of Economics won the Finance Competition held at LUMS under brand PHOENIX on 10th-12th February 2017 securing 1st prize of PKR 30,000/. Contestants from well-known professional educational institutions from all over Pakistan participated in the competition. Lahore School team Alpha team comprised Waqar Khurram, Qasim Naeem, Qasim Ali and Hamza Ahmad. 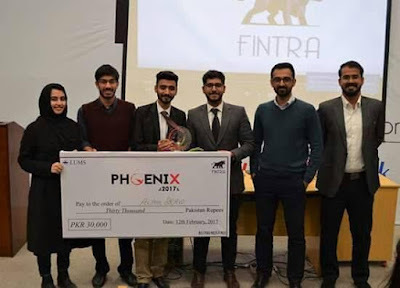 The competition encompassed various financial segments like intricate Live Trading, Financial Valuations, CFA Quizzes, Elevator Pitch followed by Case Studies. 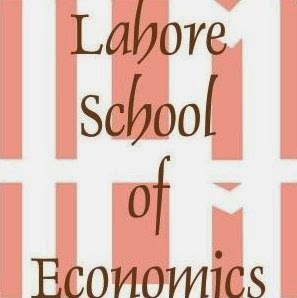 Fast Music Fest was held at FAST on 28th and 29th January 2017 where 2 teams from Lahore School of Economics participated. 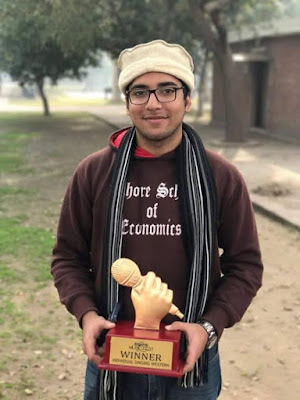 One of the Lahore School team which consisted of 2 members (singer Mohammad Asfandyar Asad and guitarist Shahraiz) secured 1st position in singing competition among 20 other teams. Mr. Sheharyar Khurshid, Director Walls Ice-cream (Unilever), was invited to the Lahore School of Economics to deliver a lecture on supply chain management to the outgoing MBA students. The speaker presented and discussed a case study Walls Pakistan which dated back to the year 2001. This case study was about the rise and fall of Walls Ice-cream and how the management was able to take it upwards from its lowest point and convert it into the success that it is today. Mr. Sheharyar Khurshid enlightened the students regarding the Walls Ice-cream business including its competitors, operations, profitability and supply chain relations and also gave an industry overview of how the situation has been changing from the year 2001 till date. 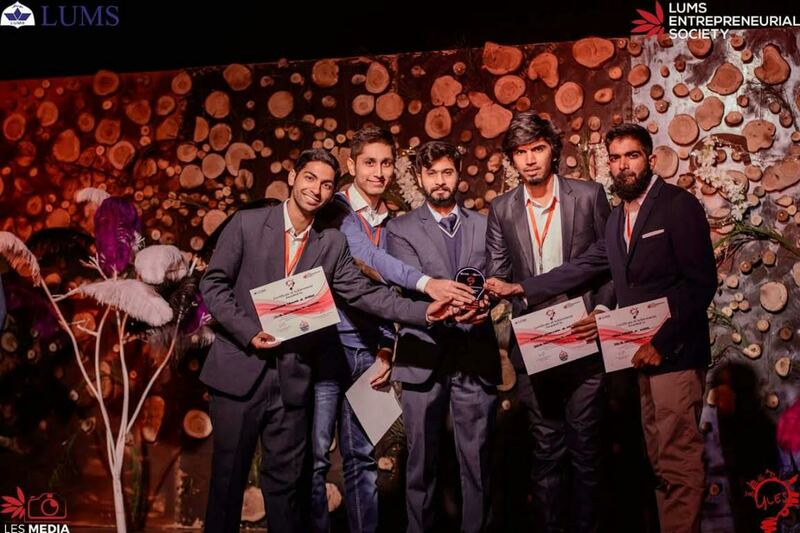 Lahore School Marketing Society and Entrepreneurial Business Society members participated in Young Leaders and Entrepreneurial Summit’17 held at LUMS which from 6th - 9th January 2017. Young Leaders' and Entrepreneurs' Summit is a unique platform, which encourages young talent to understand entrepreneurship. The platform has several rounds which include Ad making challenges, Business Idea concept generation and many more. Lahore School of Economics participated in the Institute of Business Administration (IBA), Karachi Business and Advertising Conference and won a trophy. Over 57 teams from all over the country participated in the competitions during three days Conference (10-12th February 2017). 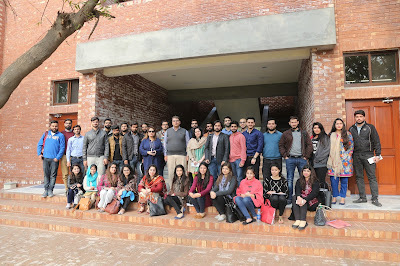 The Conference consisted of various competitions: Print Ad, TVC Making Competition, Repositioning and Marketing Strategy, Digital Ad Campaign Competition and a final presentation on different brands like McDonald's, Nestlé, PSO, TPL Holdings, Airblue, 14th Street Pizza and more. 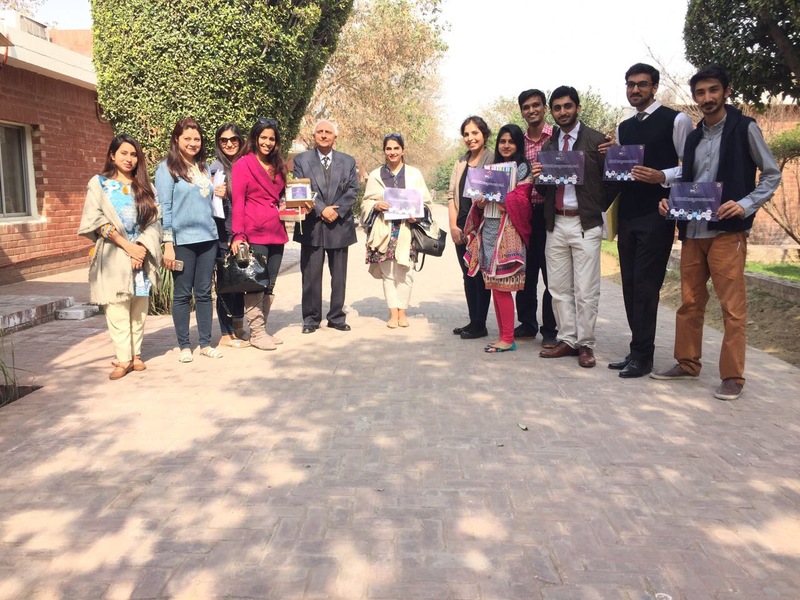 Due to their exceptional performance at the event, a Dubai based Ad agency offered summer internships to Lahore School’s participating students (Henna Bhatti, Ale Mohammad, Talha Hyder, Nabia Saqib, Ali Sajawal Khan, Amna Arshad Kinza Babar, Adnan Saeed, Ali Tariq and Ramla Ahmed Cheema. 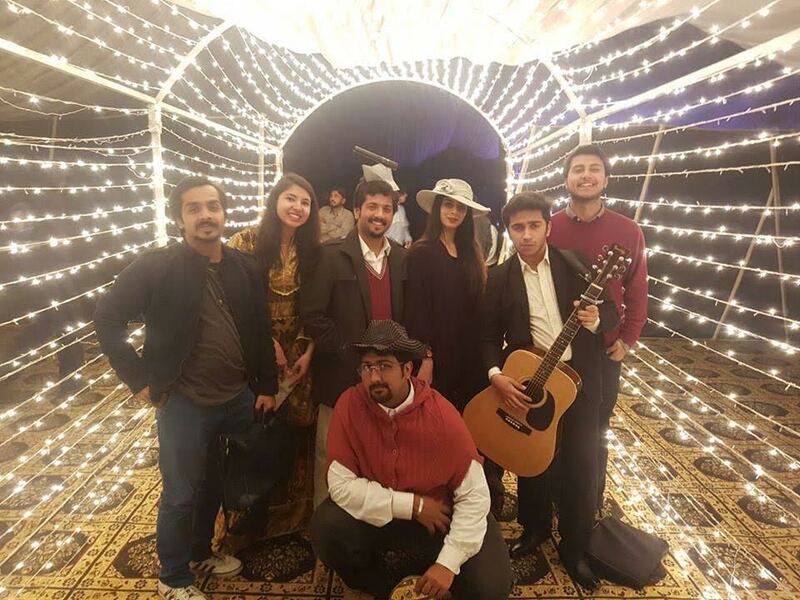 Lahore School of Economics Dramatics Society participated in the Performing Arts Festival at University College, Lahore that was held from 10th - 12th February 2017. Lahore School team performed on the Death of Trotsky and won awards for Best Play, Best Comedy. Zain Qazi and Afreen Lashari were declared the best actors. A Lahore School of Economics delegation headed by Rector Dr. Shahid Amjad Chaudhry and consisting of senior faculty attended the 4th Deans and Directors Conference hosted by National Business Education Accreditation Council (NBEAC) of Higher Education Commission (HEC) on February 7-8, 2017 in Islamabad, Pakistan. 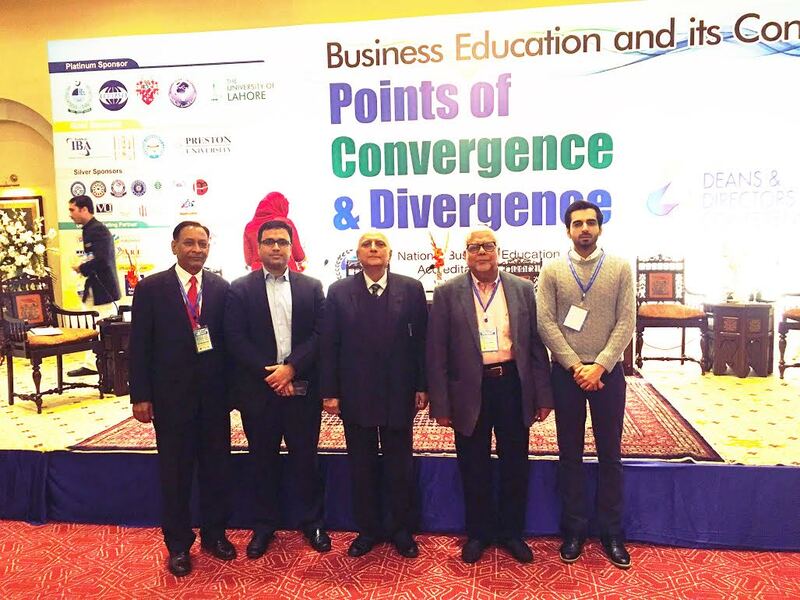 A large number of Pakistani business schools, including those from distant areas, were present. The conference was addressed by Chairman HEC, as well as by Senator Mushahid Hussain Syed, Federal Minister Ahsan Iqbal and former CEO Engro Fertilizer Asad Umer. Professor Ahsan Iqbal, Federal Minister for Planning, Development and Reform, gave a keynote speech and expressed satisfaction at the economic growth of Pakistan. Various speakers explained the importance of CPEC for Pakistan’s economy and stressed that it was a win-win situation for both countries. Senator Mushahid Hussain Syed, Chairman Parliamentary Committee on CPEC, put CPEC in the context of global and regional politics while Dr. Nadeem Javaid, Chief Economist of Pakistan added facts and figures to the economic scenario. 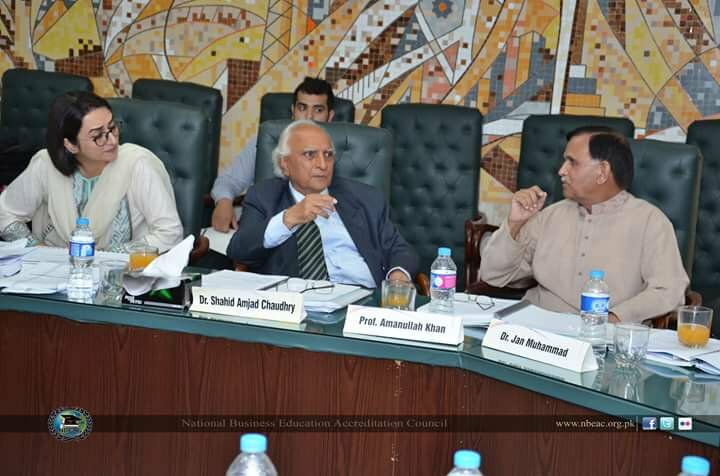 Discussions ranged from how to improve standards of business education, how to re-organize business schools syllabi, how to balance rigor in research with relevance to Pakistan to how to accredit Pakistani business schools to NBEAC. The delegation from Lahore School included Dr. Inayat Ullah Mangla, Professor Fareed F. Fareedy, Dr. Aamir Khan, Dr. Kumail Abbas Rizvi, Dr. Zahid Riaz and Mr. Saad Shahid. Dr. Kumail in collaboration with Dr. Zaki Rashidi conducted a training session for various Pakistani business schools on how to apply and get accredited by NBEAC. The participants agreed that the Conference provided a unique opportunity for strategic networking amongst business schools across Pakistan as well as a very useful platform to meet both challenges and opportunities in Pakistan because of China Pakistan Economic Corridor (CPEC).